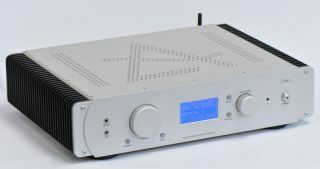 Leema announces £6000 Libra high-resolution DAC/preamplifier | What Hi-Fi? Leema Acoustics has announced the introduction of the Libra – a £6000 DAC/preamplifier that's capable of high-resolution 24-bit/384kHz playback over USB, and supports Bluetooth, DSD and more. The device – due to make an appearance at the Bristol Show 2015 later this month [February] – also features the company's Quattro Infinity dual-mono modules that can be upgraded over its lifespan. It's the latest addition to the company's flagship Constellation series and incorporates the same precision-machined outer casing as the five-star Tucana amplifier and Antila CD player. The Libra supports high-resolution audio capabilities, plus DSD 64, DSD 128, DXD and 384kHz PCM files via USB. It offers a range of connectivity options, with three coaxial and three optical inputs accepting 24-bit/192kHz audio. There are also two I2S inputs via RJ45 connectors and two XLR inputs. Meanwhile, the Libra also includes three analogue inputs – each of which can be configured as unbalanced or balanced. For wireless streaming, Bluetooth is on hand to pair up a smartphone, tablet or other compatible device. And a headphone amp is also provided if you want a more personal experience. In addition, Libra is described as a "full LIPS controller" – using the Leema Intelligent Protocol System, it can communicate with other units in the Constellation series and control them too. A Leema Acoustics spokesperson said: "The communication enables simple control of power on/off from one unit, right up to the control of all functions in a Leema Acoustics system, comprising up to 15 individual components."